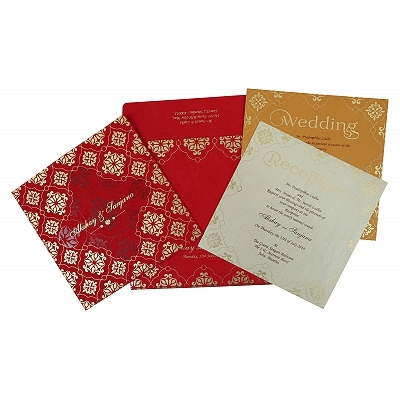 It is quite normal to face over the budget expenses in wedding preparations. 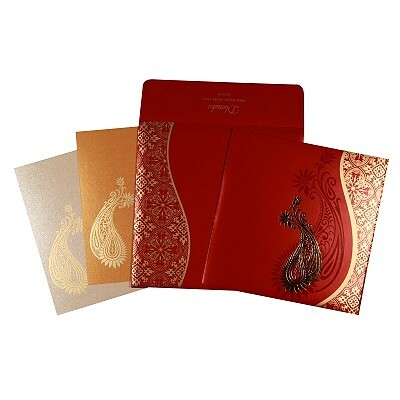 We understand it is not ok for everyone to afford all such extravagances. 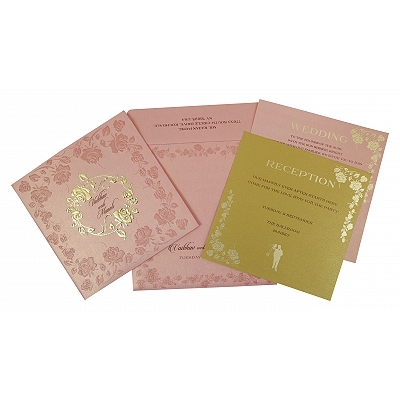 Wedding dresses, wedding meals, decorations, jewelry, and what not? 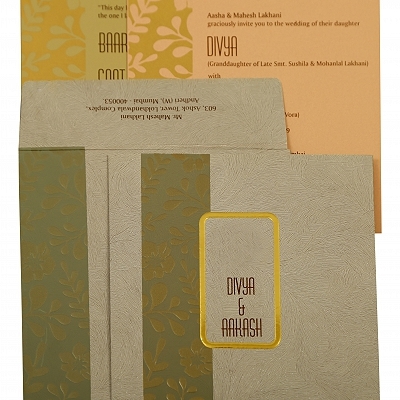 It all accounts to a lot of expenditure and cutting off something or the other from the list becomes a necessity. 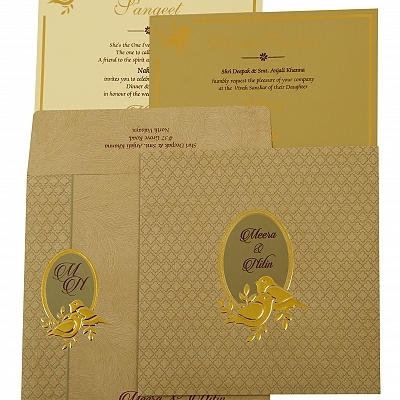 A proper planning by the bride and the groom is a must to control the ever-growing list of expenses. 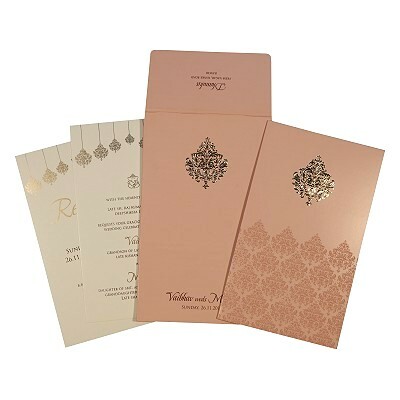 While selecting a cheap yet charming indian wedding card, it becomes important for both of you to understand the requirements well and to ensure that you are on the same page. 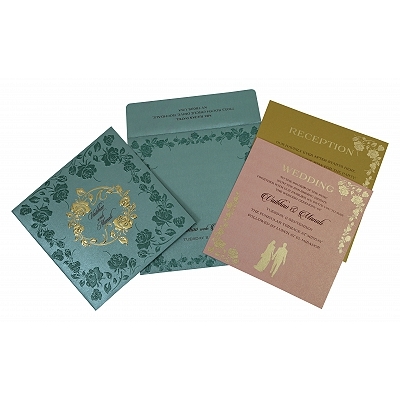 And so, we are here to meet out your requirements, the collection of cheap wedding invites shall fit well in your wallet. 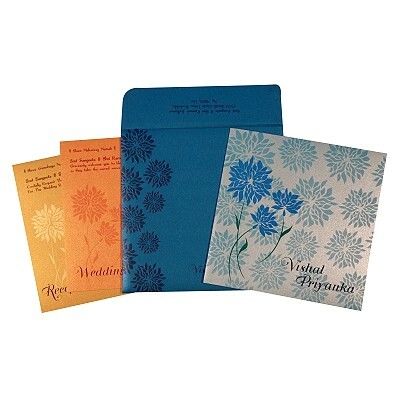 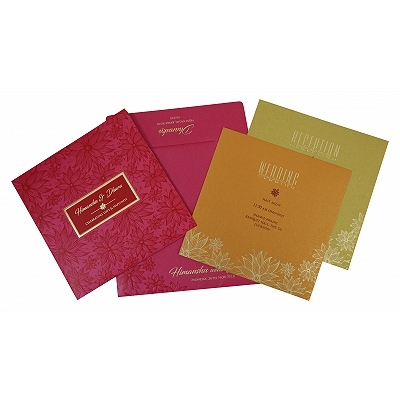 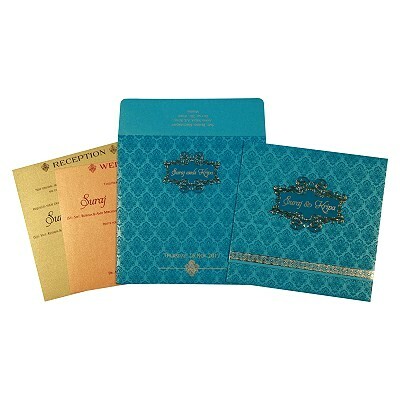 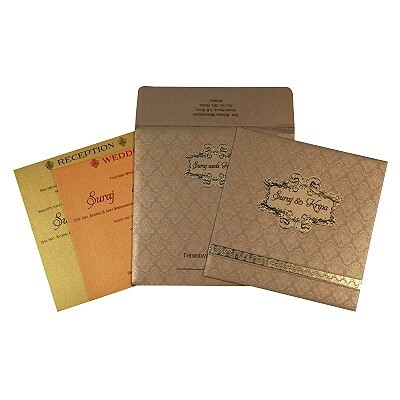 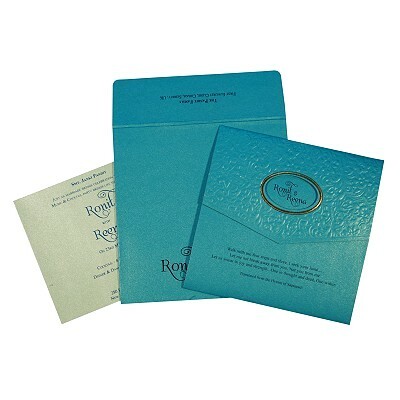 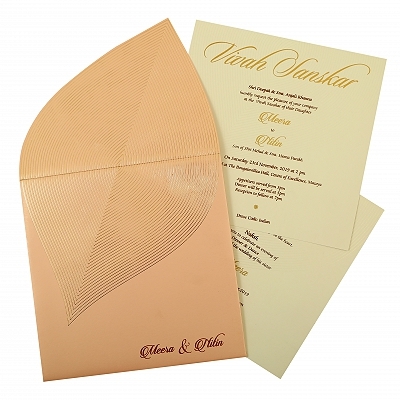 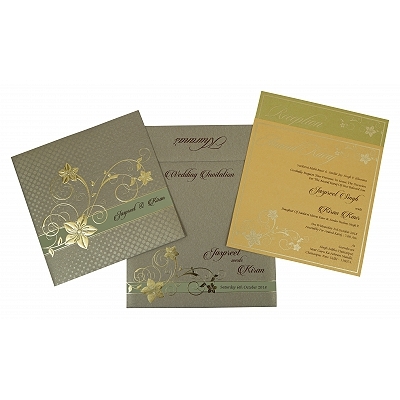 Our beautiful collection of affordable designer wedding invitations shall be well-liked by you and your guests of honor. 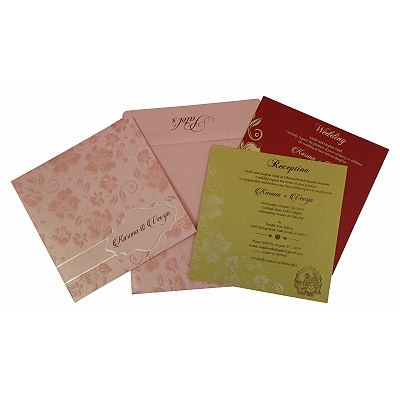 Apart from being on a budget we also try our best to provide you with the best of colors, designs, and quality of that range. 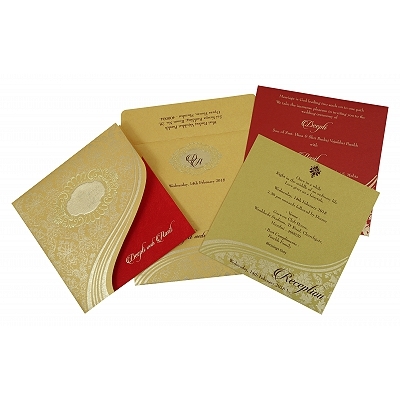 We believe that the quality should never be compromised so, our vast range of cheap indian wedding invitations shall keep you enamored with the best in range quality and styles. 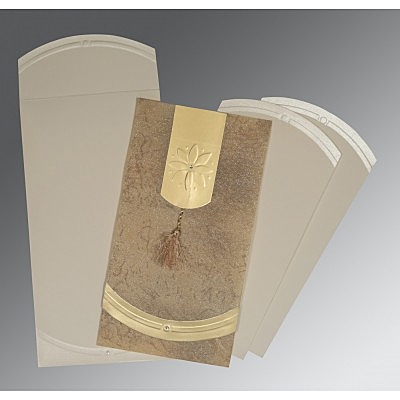 We have a dedicated workforce of designers and craftsmen who work with full energy and enthusiasm to serve the best to the customers. 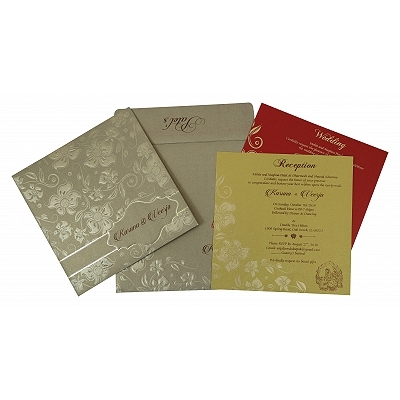 Together we all try to deliver you the finest furnished collection so that your memorable day can be treasured for many more coming years.